Full disclosure: I am new to the Andrew Peterson fan club. My conversion to the club happened recently. In one sense, this places me at a disadvantage in writing this review. There are many people vastly more qualified to discuss Peterson’s musical offerings. There are many who are more passionate about his music. While I cannot give you a comprehensive examination of each song or album in his long career, I do feel like my recent exposure to his music lends me a unique perspective. I can approach his songs with very little bias. I can hear his music for what it is, without the filter of years of adoration to cloud my opinion. This is not to say I come to his music tabula rasa. Of course, I bring my own perspective. But just maybe, I can offer something new to the conversation. Or maybe not. I will let you decide. For nearly two decades, Andrew Peterson has been carving out his legacy, one note, one word, one truth at a time. He has taken the ordinary, the common, the mundane and turned them into hymns of power, grace and transcendence. He has taken the lofty, the heavenly, the spiritual and fashioned them into rhythm and poetry so simple, even children can grasp the meaning. He has done all of this with openness and vulnerability. If you have truly listened to his songs, you understand the magic that happens, the overwhelming feeling that you are connected, that you are a part of his family. There is a refreshing intimacy at play in his music. He sings about his wife, his kids, his friends. He tells about God, faith, and hope. He confesses sins, failures, and struggles. He writes about life in general. His own life. Our lives. To hear an Andrew Peterson song, is to step into an exploration of a world we already inhabit, but sometimes do our best to ignore. 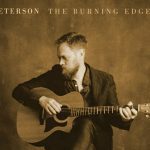 Recently, Peterson introduced listeners to his latest creation, “The Burning Edge of Dawn.” To put it plainly, it is amazing. To put it less plainly, it is a powerful and impressive journey through doubt, sadness, fear, joy, and faith. Peterson has crafted his best work yet, showing a growing level of artistry and maturity. Perhaps it is only right, at the infancy of his new offering, to look back and see where this journey has taken him, and us. Ten years ago, Peterson released his much-lauded “A Far Country.” Thematically, It is an album characterized by yearning and hope. 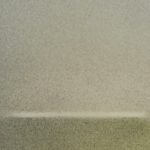 It is an album with its eyes set on heaven, beautifully articulated in the title track, as well as other standout songs. 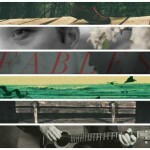 Musically, the album is a subdued and quiet affair, with only one or two moments of letting loose. The title track is Peterson at his most rock and roll. Acoustic guitars, piano, and gentle percussion are the order of the day throughout. Most tracks owe much to his musical predecessors, Rich Mullins and Caedmon’s Call. While others songs deal with the typical Peterson fare: family, friends, and a profound love of God, the focus of the album is hope. He sings on the title track, “’Cause we are wandering / In a foreign land / We are children of the / Promise of the faith / And I long to find it / Can you feel it, too? / That the sun that’s shining / Is a shadow of the truth”. In the joyful song about death,”Lay Me Down,” he writes, “I’ll open up my eyes on the skies I’ve never known / In the place where I belong / And I’ll realize His love is just another word for Home.” Peterson sings with hope of something better. Even when the darkness of this world surrounds us, there is a promise of hope and fulfillment. Peterson has always dealt with this tension between the darkness and the light. He has always written honestly about the pain and the sorrow that is a part of our lives and he has never shied away from the difficult questions. But he has always done so from a place of confidence. A perspective that sees beyond the pain and heartbreak. An image comes to my mind when I listen to his music. I see a lone man on a small sailboat, navigating a dark and stormy sea. The waves are black and breaking over the bow. The wind is fierce and batters the small craft on every side. A storm is pouring down rain with unrelenting force. Yet up ahead, a powerfully bright light is breaking through the clouds and guiding the man home. Taken as a whole, “A Far Country” acknowledges the winds and the waves, while still pointing out the light that is clearly visible up ahead. 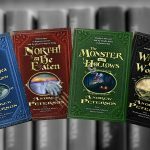 Ten years later, Peterson is still singing about the winds and the waves. Only now, the bright light is, at the best of times, a faint glimmer. Often, there is no visible light at all. On the emotionally bare “The Rain Kept Falling”, Peterson sings, “I tried to be brave but I hid in the dark / I sat in that cave and I prayed for a spark / To light up all the pain that remained in my heart / And the rain kept falling.” The entire album is saturated with this imagery. 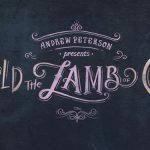 Whatever the cause might be, Andrew Peterson is walking through a particularly challenging time in his life, and it is showing up in his songs in a way it never has before. 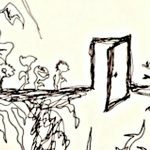 This might lead you to believe that the album is dark and sad and depressing. Yes, this is probably his darkest album to date. There are any number of difficult questions asked, and no easy answers to be found. Even so, there is good news. In spite of all that darkness, Peterson clings to a hope that is presently unseen. His music has never been more raw and open, more honest and true. This personal pain he is dealing with has allowed him to create an album that speaks more deeply and more beautifully of his confident expectation. Even if it is just a faint glimmer. Just as the lyrics and themes are deeper and more mature, the music has taken a leap forward in scope and artistry. The production quality is top-notch, with Gabe Scott handling those duties. There are layers and layers of sound and melody. Peterson is joined by a bevy of talented musicians to realize his vision. Caleb Chapman of Colony House and Ellie Holcomb of Drew Holcomb and the Neighbors lend their voices to the album to wondrous results. A rich combination of acoustic and electric guitars, piano, bass, drums, percussion, strings, hammered dulcimer, and vocals weave a musical tapestry that is at once timely and timeless. While Peterson’s songs have always moved me with their words, on this album, there are just as many transcendent musical moments. This album reaches musical highs with a consistency his previous albums have not. From my view, his words have finally found their true home – the best possible vessel to communicate their longing, their passion, and their truth. “The Burning Edge of Dawn” is a remarkable achievement in every way. 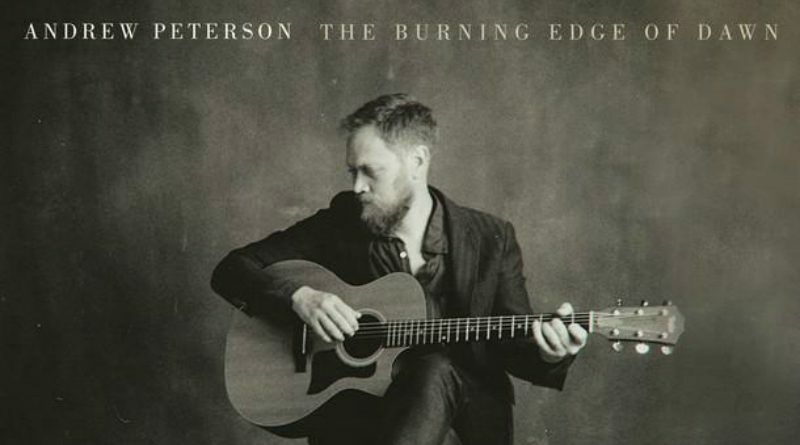 Andrew Peterson has emphatically created his masterpiece. I can’t wait to see what he does next. Go here for the in-depth exploration of the album, the music and the themes. Whenever I see a picture of Peterson, at first I think its Jared Harris. Phill is being very modest in the first paragraph here. I know few people who are as passionate and discerning about music, good music. He knows it when he hears it and he definitely knows how to discuss it critically.